Sign up to receive gallery announcements. Call For Entries: GearBox Gallery invites artists working in any media to submit proposals for exhibition in our Inner Room in September, 2018. Eligibility: Open to artists over the age of 18. 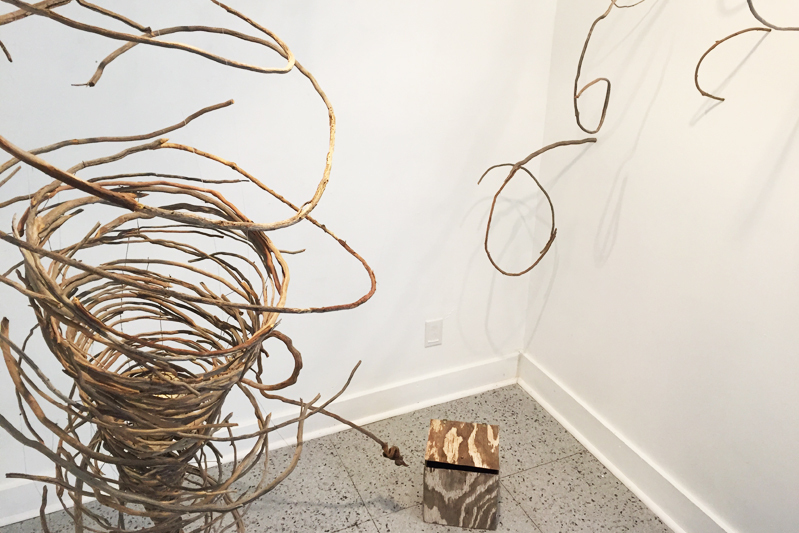 Work by the selected Artist will be exhibited August 30th through October 6th. The reception for the exhibit will be hosted concurrent with the reception for the featured exhibit that month. The Artist will be selected from images & a written proposal submitted by email to exhibitions@gearboxgallery.com, and will be juried by the Inner Room Selection Committee. There is no theme. Selection will be based on the quality of the artwork, with special emphasis on how it relates to, enhances, transforms, or makes innovative use of the space. Please note, installation artists will be responsible for delivery and retrieval of work, as well as for any special installation procedures & equipment (video projector, etc.) that may be necessary. 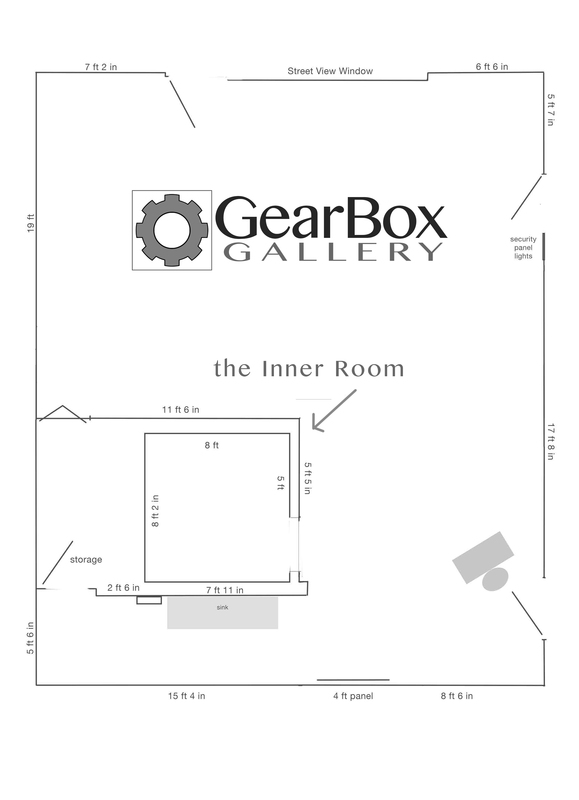 GearBox Gallery will provide help with installation and set-up, but the artist should expect to actively participate in the installation process. The Inner Room is 8’ X 8’ X 8’. It has a “2-tone” linoleum floor & sheetrock walls & ceiling, with a small bank of lights. There are 2 electrical outlets on one wall, a single light switch on the opposite wall, & a doorway (with no door) to the main gallery space. Please refer to the photos & floor plan below, and visit the gallery to view the space in person. Reception: Friday, September 7 from 6-9 pm as part of the Oakland Art Murmur First Friday Art Walk.